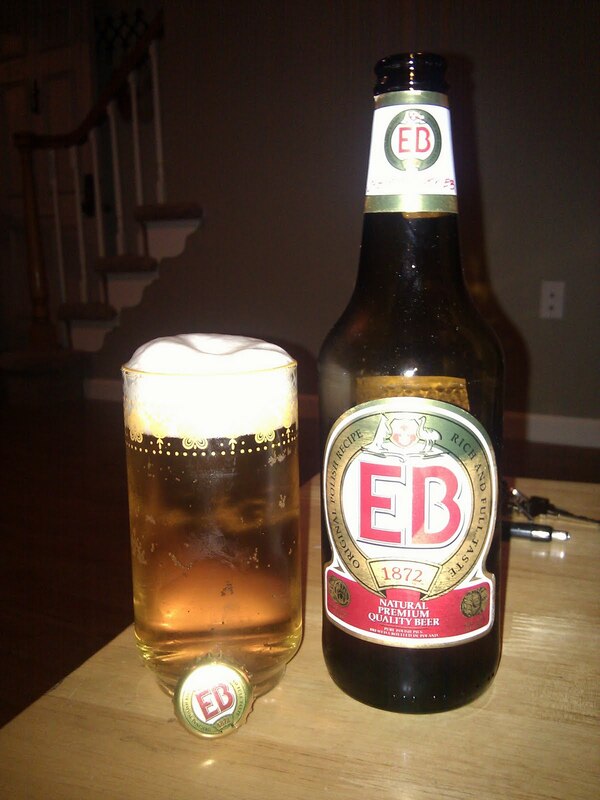 Another product of Poland's largest brewer, Zywiec Group, EB is a pilsner with a little different spin on it. This beer was introduced in 1993 by Elbrewery (notice the ElBrewery) then when Zywiec bought them out in 1998, the discontinued brewing the stuff for domestic (Polish) use and was used as purely an export; mostly to the US and Germany. Later on as discussed in other blogs covered by ILTS, Heineken is now a majority shareholder in Zywiec Group. It claims to be brewed and bottled in Poland but I skeptical. Not really; I totally believe them. The 1872 date on the label references the English Spring Company, a group that bogarted the spring water initially to brew beer on that estate. So this pilsner has a very weak smell; what you can smell is great, but it's not very overpowering at all. This deceives the taste buds, as it is very flavorful. It's a light drink but does not taste watered down. And at 5.2% ABV it isn't not trying to get you all sorts of gnarly, though lower than most other Polish Pilsners. The best thing this beer has going for it is that there's a kangaroo and an emu on the label. This could only be trumped by tyrannosaurus rex and shark (if someone can find this please tell me). There's some seals that appear to be awards this beer has won, but I like to think that they are actually pogs. That being said, I still have my slammer and will challenge any of those Polish turkeys to a round. In conclusion this beer is pretty legit, it doesn't taste as heavy as some of the other Polish Pilsners which is a plus. It has a milder aroma and taste but less booze. I picked up this 500mL bottle for a king's ransom, which is equal to $2.50. I'd get this again if I needed a bottle to go drink in a parking lot somewhere or in my car waiting to pick someone up from the airport or something.